Today we’re going to be discussing retirement planning and your bones — specifically, hip fracture prevention strategies. Is a Hip Fracture Part of Your Retirement? We’ve all been told to start planning for our retirement in our twenties. Our long term retirement plan might mean travel to Europe or golf in Florida. Or it could mean having the time to do some extra gardening. But a hip fracture could easily derail those plans and have a devastating impact on your lifestyle and independence. That is why you need to think about hip fracture prevention before it happens to you. And the earlier you start, the better. Planning in our early twenties becomes very important. Following a bone healthy diet and regular, vigorous exercise becomes a very important part of having the type of retirement that you want. In Canada and the US, more women over the age of 70 will suffer a spinal or hip fracture than breast cancer, stroke and heart disease combined. It is estimated that one in four women and one in eight men have osteoporosis. Hip fractures are very common in individuals with osteoporosis. Nine out of ten hip fractures are the result of osteoporosis. Not only are they one of the most costly type of fractures, in terms of health care dollars, but they’re also very costly in terms of quality of life. Hip fractures are one of the most devastating of all fractures, in that one in five women and one in three men die within one year. 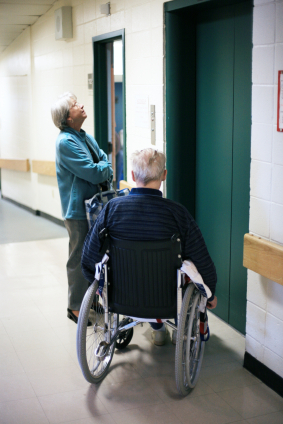 Fifty percent require ongoing assisted living in some type of institution. Only a quarter of individuals who suffer hip fractures actually return to independent living. And having said that, it’s usually never to the level of independence that they had prior to the hip fracture. Here are five (plus one bonus!) hip fracture prevention strategies you can implement today to reduce the chance you have a hip fracture and become one of the statistics listed above. Follow a osteoporosis exercise program that builds bone and specifically practice osteoporosis exercises for hips such as hip raises. Reduce you chance of a fall (that will likely lead to a hip fracture) through balance exercises. Understand what is happening to your bones and specifically learn the importance of bone quality and osteoporosis. Learn how to build bone in the neck of the femur. Understand you hip bones and answer the question: does osteoporosis cause hip pain? Protect yourself in case of a fall with hip protectors. Another type of fracture that’s very common is spinal fractures. Although less devastating, they’re much more common than hip fractures. Over a five year period of time the incidence of death is nearly as high as with hip fractures as it is with spinal fractures. If we look at the vertebral bodies in the slide on the left, in this x-ray shown here on the slide, you’ll see the height of the vertebral body here. It’s a nice height. Where if you look at vertebral body above, it’s about have the size of the vertebral body below. The other ones that seem a little bit smaller are starting to get compressed, but this is what we call a spinal fracture. They are also referred to as compression fractures. It’s where the spine starts to compress in on itself because of the level of trabecular bone that starts to collapse. And although some of these are silent fractures — almost half of them occur silently — with some of them, you might experience a little bit of back pain, but then usually that resolves with time. Some spinal fractures can be very painful, but most spinal fractures, it’s not the one fracture that makes you lose quality of life. It’s the recurrence of fracture after fracture after fracture. So if you have one spinal fracture, the chances of having a second and third are much higher. We’ll have a tutorial dedicated to just spinal fractures. So hope this has been helpful, I hope that you can make good nutrition and bone building exercises part of your lifestyle so that you can have the type of retirement you’re planning for today. That’s all for this session on hip fracture prevention, I’ll see you next time on MelioGuide.